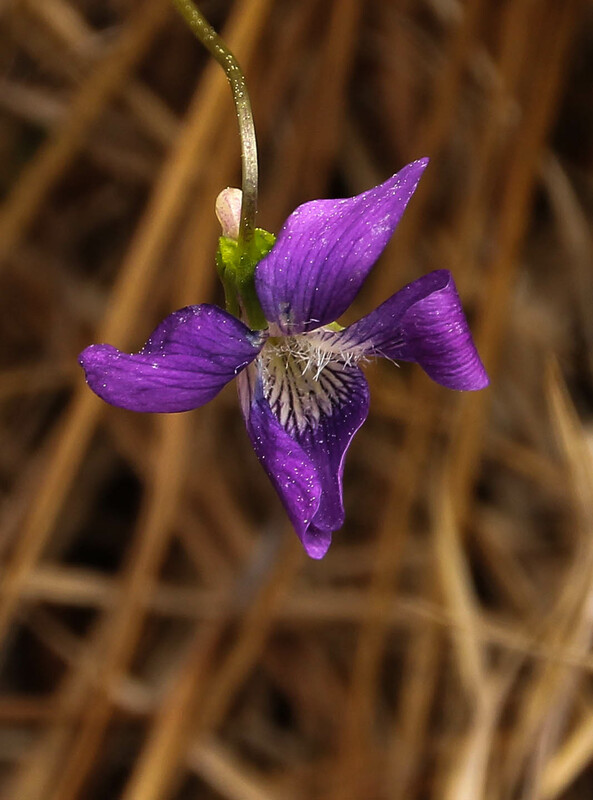 A Violet growing in the shade of a Longleaf Pine. The past few days have been absolutely beautiful, warm with sunny days and cool, starlit nights. We spent seven nights at Blackwater River State Park, this visit, which we enjoyed very much. I think this is our fourth visit to this scenic state park. In the morning we head out to our next destination and I hope the great weather comes along! During these past seven days we found new places to hike, a few birds to photograph, some beautiful, swampy, river areas to admire, and I can’t forget our sighting of the Fox Squirrel. If you enjoy staying in state parks that are quiet and peaceful; filled with the aroma of pine with a gorgeous scenic river for kayaking and nature trails for hiking, then this state park is worth a look. They have been working on a few renovations here at the park, specifically the pavilion on the river, which will be completed very soon. We can’t wait to see the improvements and to once again hike the trail along the riverbank. I’m sad I didn’t get as far as Florida on this eastward jaunt. Hopefully next year. Your posts are so serene and beautiful; I love to visit. Good Morning Mary-Pat! I am glad you enjoy my blog! Thank you! You will get to continue your journey! There are some beautiful areas in Florida just waiting for you! Let me know if you have any questions about any of the state parks in Florida. We don’t stay in private parks, so I won’t be able to give you any advice there. I enjoyed your post on the McDonald Observatory! It was excellent! What a beautiful dark and clear sky! Thanks, Sheila. I’m thinking Florida may be a good travel destination for all of next winter! I’d not like paying the private RV park fees so would be more interested in State and National Parks’ information.